Need a little winter inspiration? Each month I swap cards with a group of 10-12 demonstrators. Deb Townsend made this beauty by embossing the flower on SU vellum card stock in gold, then either brayering or sponging Cherry Cobbler ink on the back. Our gold foil sheets used to cut out the Merry thinlit really adds the balance to the gold embossing. Mary hall stamped Lovely As a Tree in Night Of Navy ink, then added Dazzling Diamonds glitter with a glue pen over the trees as snow. 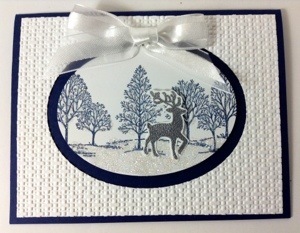 She embossed the sweet deer (from Joyful Celebrations set) in silver powder and fussy cut him out. Kimberly Allen really stepped up the silver foil card stock by embossing the Stylist Stripes diagonal folder in 2 directions to create a plaid! 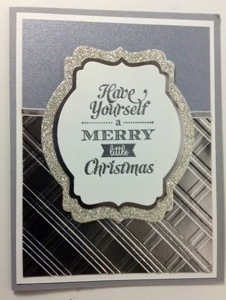 Brushed Silver card stock and silver glimmer paper really sparkle in person. 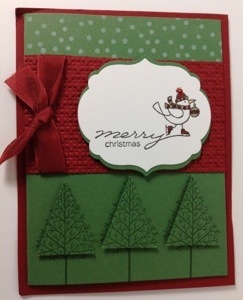 Elizabeth Hardin created this sweet layout by using Garden Green and Cherry Cobbler card stock with For the Birds. I love this set because it’s so versatile. 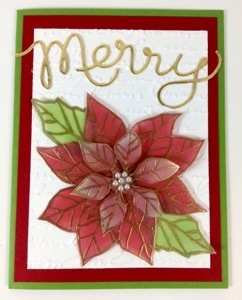 See it on page 28 of the big Stampin’ Up catalog. 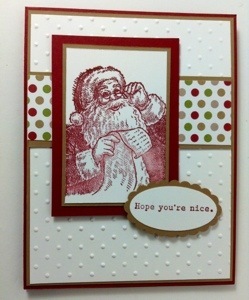 Rhea Hughes added a touch of that pretty foil paper, Winter Frost, along the top and bottom of this pretty card. 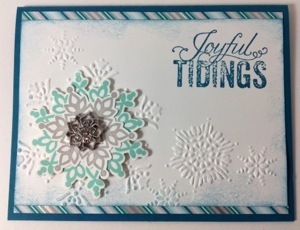 The Frosted Finishes add pretty sparkle to the middle of the snowflakes! 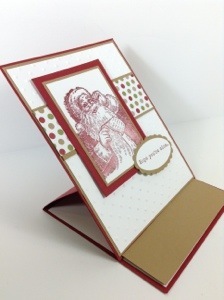 Linda Pagel created this fun gift Santa card holder Easel Card. The band of Brown Sugar card stock is the pocket for the gift card and acts as a stopper to keep the card propped up. Totally non-stamping related! Do you know what new breed this is? 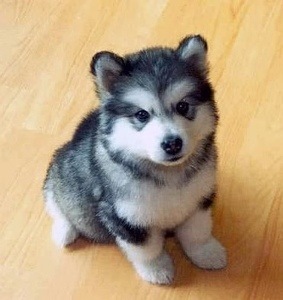 A Pomsky! Half husky, half Pomeranian. Yes, we are still partial to Boston Terriers but entertaining the idea of other breeds. (Matt loves huskies) I’m told they get about 15-20 pounds, look like a husky but stay small. I hear they still howl like a husky so can be noisy. Meanwhile, we are still checking out the Boston terrier adoptions! I hope you are inspired to go stamp something today! This entry was posted in Stampin' Up Specials and Promotions, Swaps & Inspiration and tagged christmas cards, for the birds, joyful christmas, lovely as a tree, Stampin' Up!. Bookmark the permalink. Cutest puppy ever! Had to send that picture to the animal lovers on my list. TFS.